For more information or to reserve a seat call (518) 641-3406. 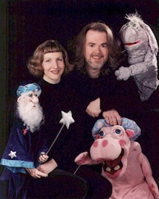 Join us for an original comic puppet show presented by the Puppet People. Laugh along with their spoof of nursery rhymes, sing along to silly songs and enjoy the antics of the cast of 16 different puppets. Audience participation encouraged. For ages 3 to 8. Funded by a grant from Stewart’s Shops. Create a decorated picture frame using tissue paper and glue to mimic the appearance of stained glass mosaic. Make one to give as a gift for Mother’s Day or to frame a favorite picture. Register online. Using embroidery floss we will make braided friendship bracelets following simple beginner-friendly patterns. Make a matching pair of bracelets, so you can share one with a close friend. Register online. Every 12 days, 1 million people join LinkedIn. It is your electronic resume, Rolodex and your Club of Professionals. LinkedIn can help you learn about and reach out to clients, partners and employers. You may be saying to yourself, “I have LinkedIn, but I don’t really do much with it.” LI is an enormously powerful tool for establishing your brand, enhancing your visibility, building credibility and managing your career. Having a static and dull profile is not the online reputation you want to project. If you are not levering LI, it’s guaranteed your competition is. This seminar will demonstrate the features of LI and how to use it as your professional Internet image. If you are serious about building your business, you must be serious about LinkedIn.